2. Noah was fishing with his dad for one of the first times in his life! 3. The bait used was corn. 4. His family's cabin is on the northeast end of the lake. 5. 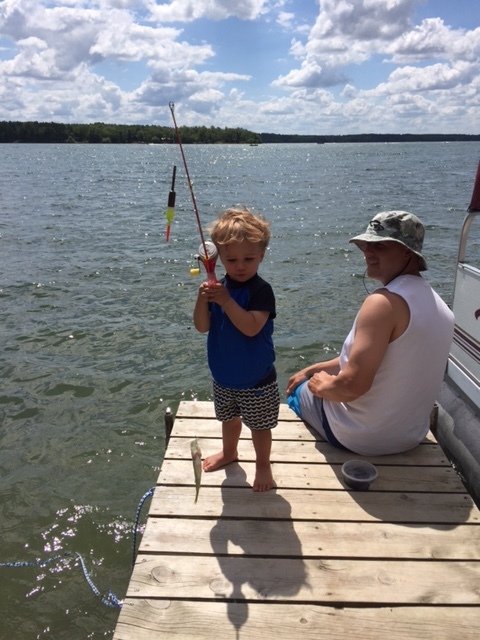 The fish was caught over the 4th of July weekend, 2016. Remember take pictures of your winter ice fishing experiences too.